It’s true that no event is complete without music. So we understand your requirement to serve the best of Shehnai Players in Delhi. 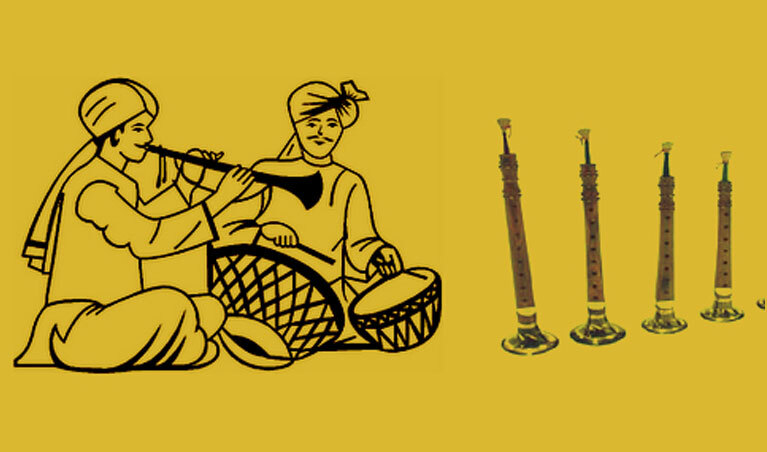 Our dealings are managed with quite famous and expertise shehnai players who strive hard to bring on such old musical instrument to the forefront. These are quite into demand today with delivering best to make every event a success. Our service is into demand not just for wedding functions but also for various events like conventional events, musical functions, get together, foreign meetings and parties. We at Artist On Demand add serine to every event with delivering a musical touch and presence to capture love and acceptance. We even take on long term bookings and are even not limited to one or two events. Our players even play music at wedding and pre wedding events, cross cultural events and exhibitions and even at kid’s birthday parties. Who are our shehnai players? Our players are from both national and international talents. Even we give chances to new talents, artists, singers and performers to perform at various events. We assist our clients to get the best with even a small investment to arrange the best of concerts. Our services are all planned and are executed for all kind of events irrespective of small or big. Our staffing never take a compromise and always try to serve the best with creating trust with bringing on memorable and original experience that delivers perfect result. It’s our entertainment and management team who believes on building relationship and provide with all kind of relevant coordination as required or demanded by the clients. Our service is always our priority. For the purpose we make an attempt to ask for a test drive of the concert. Our executives never leave the location before setting the event and they do take a confirmation that the event goes well. After the event, the staffs or the executives take the review of the clients and try to make it better next time. So, call us and hire our Shehnai players.